Never dealt with an immigration lawyer before? Work with an attorney who takes a personal approach and is committed to providing each client with professional, responsive and solution-centric legal assistance. Specifically, an immigration lawyer who will answer your calls and e-mails promptly and who treats each client as an individual. At that Law Firm of Kyce Siddiqi, know that your case will not go through an assembly line of a team of paralegals or assistants. Rather, Attorney Kyce Siddiqi personally handles your case from beginning to the end. From the moment we accept a case, we devote our attention, time, and resources to fight for the best possible result. An immigrant himself, Attorney Kyce Siddiqi recognizes the complex intricacies of Asylum law and understands the difficulties you may be going through when being persecuted in your country. An asylum applicant must prove past persecution or a well founded fear of future persecution on the account of the following five protected traits: Race Ethnicity or National Origin Religious beliefs Political opinion Membership in a particular social group Be prepared to work very close with Attorney Kyce Siddiqi who will help you identify a range of corroborating evidence including but not limited to police reports, medical and hospital documents, witness statements, country condition reports as well as other forms of evidence. We want to win your case for you. Have you or a loved one received an NTA or are under an ICE detainer? If so, you should immediately consult with an immigration attorney based on the extreme consequences of deportation. Deportation is an extremely harsh consequence for non-U.S. citizen. Imagine spending years (and even decades) in the United States, and abruptly, you are faced with the risk of being sent back to your native country. Whether you are a legal permanent resident or an undocumented person, facing deportation is one of the most stressful and frightening experiences. One's entire future is at stake. One an individual receives a Notice to Appear, it generally moves that they are facing deportation. This may happen if the non-U.S. citizen is involved in visa fraud, alien smuggling or is convicted of: Multiple Crimes Involving Moral Turpitude (CIMT); An aggravated felony offense; A controlled substance violation (unless it's one offense of a simple possession of 30 grams or less of marijuana); or A firearms offense. There are various forms of relief a non-U.S. citizen may be qualified for. These include but are not limited to cancellation of removal, political asylum & withholding of removal, adjustment of status, and protection under the Convention Against Torture. If you need removal assistance, call the Law Firm of Kyce Siddiqi right away to schedule a consultation. Allow us to help you with the naturalization or citizenship process. Obtaining a "green card" (I-551) is greatly desired by many people entering or seeking to enter the United States. We will help you with your family-based immigration needs. We want you to reunite with your loved ones and will help you with your immigrant applications to bring them into the United States. Attorney Kyce Siddiqi and his family are immigrants. And therefore, we understand how you might be feeling throughout the immigration process. We want you to reunite with your loved ones and will help you with your immigrant applications to bring them into the United States. 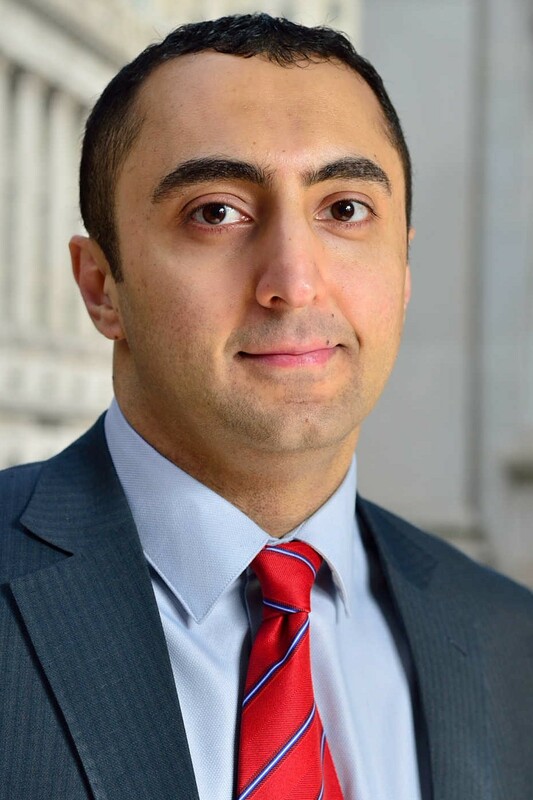 As a former police officer and overseas trainer for U.S. State Department funded legal education programs, Attorney Siddiqi brings his combined international and domestic experience to help you understand your options and aggressively pursue your goals. We will handle your case personally and thoroughly, and will provide you with prompt updates as they come. Your case will not go through an assembly line process where you have a team of paralegals or assistants handling your case. You should feel confident knowing that a licensed immigration attorney and NOT a case manager or legal assistant is working on your case. As the principal attorney and owner of The Law Firm of Kyce Siddiqi, Attorney Kyce Siddiqi is an immigration lawyer who has over a decade of legal and criminal justice experience. Mr. Siddiqi is a decorated former (retired) NYPD Police Officer and international rule of law advisor, having worked overseas on behalf of the U.S. State Department. He is licensed in New York and Texas and multiple U.S. Federal Courts, and is eligible to practice immigration law in all 50 states. Mr. Siddiqi's practice focuses on family-based immigration, consular processing, naturalization, asylum, and removal defense. An immigrant himself who personally knows how difficult the immigration process can be, Attorney Siddiqi strives to treat each client like family and not like a "number." He is an active member of the American Immigration Lawyers Association, the National Immigration Project of the National Lawyers Guild, the Nassau County Bar Association and the State Bar of Texas.